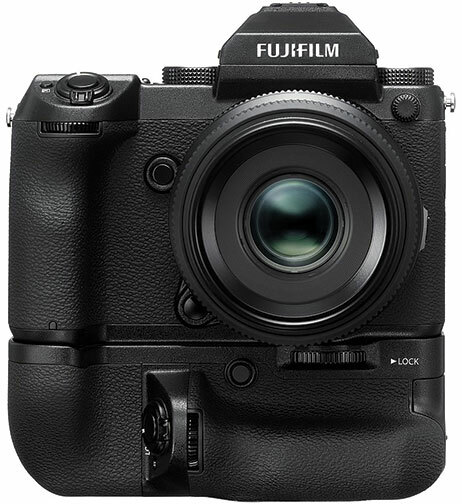 Valhalla, NY—Fujifilm is highlight several optional accessories, sold separately, for its mirrorless, medium-format GFX 50S camera. Designed to place the release button, dials and function buttons in the same positions when shooting vertically, the battery grip can be loaded with one NP-T125 battery. This will lower the frequency that batteries need replacing. Also, by connecting the AC-15V accessory (sold separately), it is possible to charge the battery within the grip in approximately two hours. When mounting this accessory between the camera body and the electronic viewfinder (EVF), the angle of the EVF can be changed from 0°～90° vertically and from -45°～+45° horizontally. This allows users to shoot at various angles while using the viewfinder. 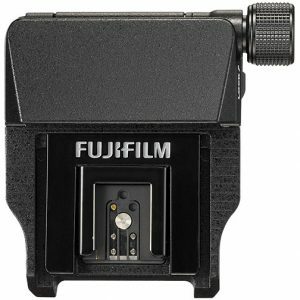 This optional lens adapter permits GFX photographers to use Super EBC Fujinon HC interchangeable lenses developed for the Fujifilm GX645AF medium-format film camera (discontinued). Using the adapter on the GFX 50S, nine Super EBC Fujinon HC interchangeable lenses and one teleconverter developed for the GX645AF can be used. While the focusing method will be limited to manual focusing, the lens aperture can be changed using the command dial on the camera body. Shooting with the leaf shutter built into the lenses is also possible. Using this lens shutter allows high-speed flash synchronization up to a maximum speed of 1/800 sec. Also, the adapter is equipped with electrical contacts that can communicate with the camera body. It can thus independently create, save and apply correctional data for each lens. The adapter supports both manual and aperture priority AE exposure modes. This adapter allows the GFX 50S to be used as a digital back. It enables the camera to be mounted to the standard universal-type back of a view camera. In addition, this permits the use of Fujinon large-format camera lenses, such as the CM-W Fujinon lens series. 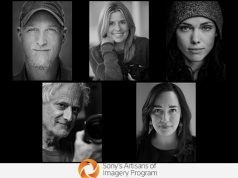 The camera or lens shutter can be triggered, allowing the user to choose the optimum method. 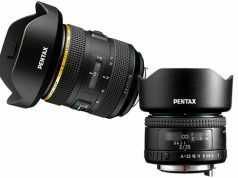 The large image circle and the bellows of the view camera can be used with tilt, shift and swing movements, which is effective for product and architectural photography. 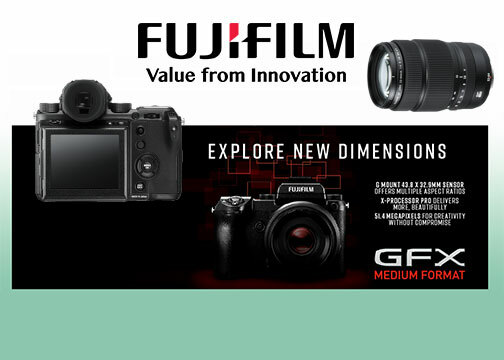 Fujifilm offers the following tethering solutions for photographers: X Acquire to transfer images from the camera to a hot folder on a computer for use with preferred imaging software; Tether Shooting Plug-in Pro for Adobe Photoshop Lightroom; and HS-V5 for Windows (sold separately). 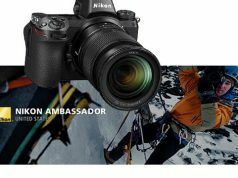 By connecting the GFX 50S to a PC via a USB cable and using this software, it’s possible to transfer captured images directly to the PC. Users can also control the camera from the PC. Additionally, by using the control panel window newly added to Tether Shooting Plug-in Pro, other camera functions become available. Previous articlePelican Products Names Dir. Commercial Sales, Western U.S.